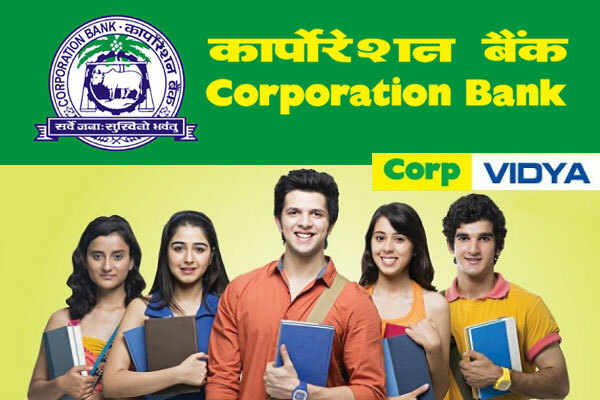 Corporation bank Education Loan Scheme named Corp Vidya is provided to meet the expenses related to pursuing studies in India and Abroad. Upto Rs.7.50 Lakh : Co-obligation of Parent/s, Grand Parent/s ( if parents are deceased). No other security. Above Rs.7.50 Lakh : Co- obligation of Parents/ Grand Parent/s ( if parents are deceased) together with tangible collateral security along with the assignment of future income of the student for payment of instalments. Loan shall be fully secured after maintaining prescribed margin on respective securities offered. In case of married person, co obligant can be either spouse, or the parents or parents -in-law. Concession in rate of interest at 50 bps (inclusive of 25 bps available for SC/ST/Women) below the applicable card rate for girl students for new loans sanctioned/ disbursed w.e.from : 04.03.2009. Uniform repayment tenor of 15 years irrespective of loan amount.